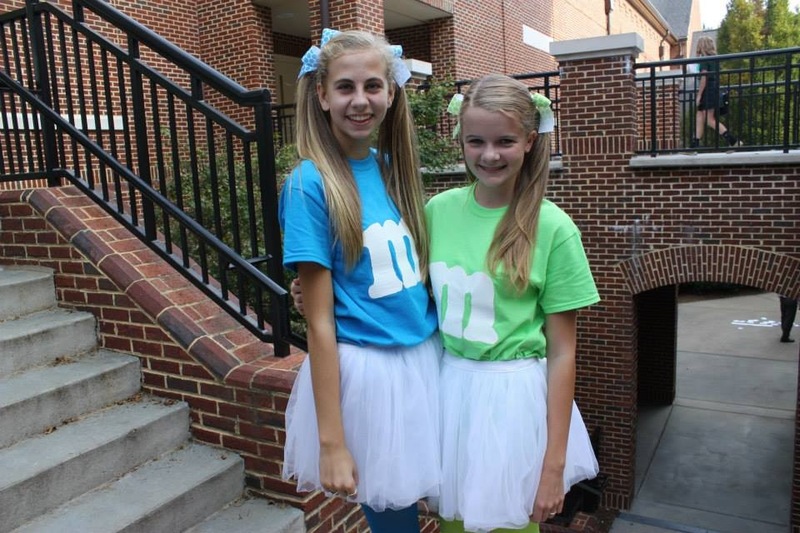 Seniors Nicole Fasciana and Margaret Ann Yates dress up as blue and green M&M’s during their freshman homecoming week. Fasciana. 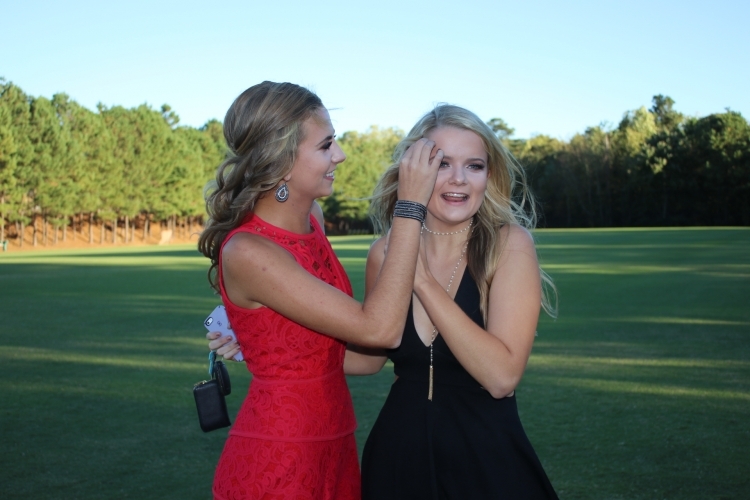 Seniors Fasciana and Yates prepare for the endless pictures at their homecoming picture party. Fasciana. 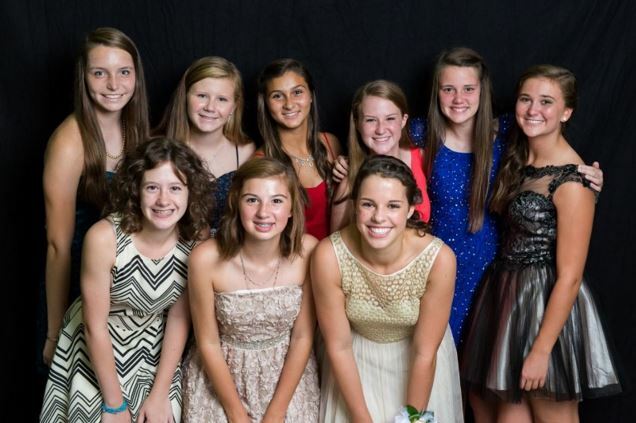 Seniors Lolly Zimmerman, Makena Renz, Lauren Morales, Rachel Morgan, Emily Greer, Gabby Hernandez, Katie Stipe, Whitney Archer and Emma Preston at freshman year homecoming. Brian L. Morgan. 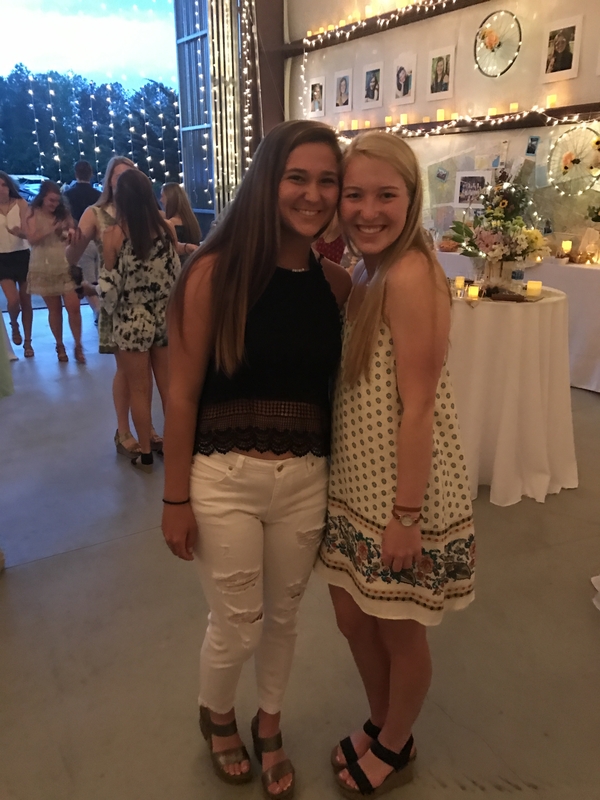 Seniors Julia Childers, Makena Renz, Emily Greer, Katie Stipe, Rachel Morgan, Sam Laurite, Audrey Mangum and Lauren Morales at their senior year homecoming picture party. Brian L. Morgan. 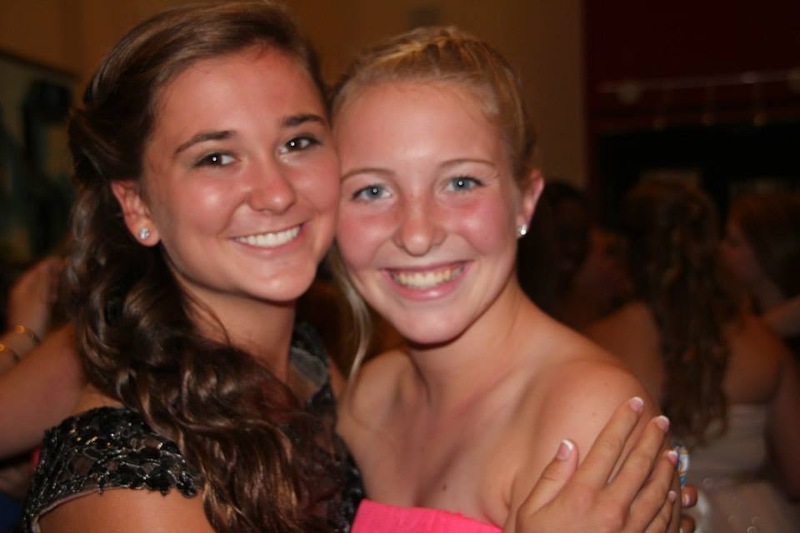 Seniors Gabby Hernandez and Abbey Gritters at their freshman homecoming. Hernandez. Seniors Hernandez and Gritters celebrate at their fellow seniors’ graduation party. Hernandez. For many students, high school is a journey that will never be forgotten. From a geeky, nervous freshman to an over-confident, worn out senior and everything in between, the high school experience is irreplaceable. 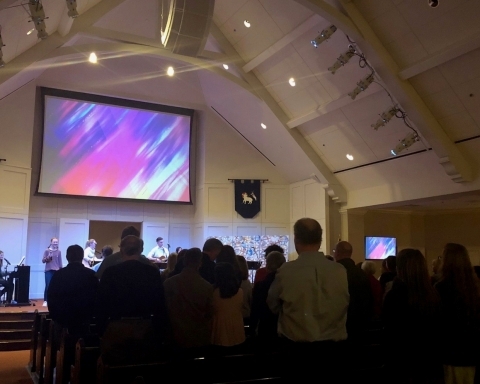 In commemoration of Wesleyan’s 2016- 2017 school year, two surveys were conducted: one was sent out to the freshman class, while the other was sent out to the senior class. 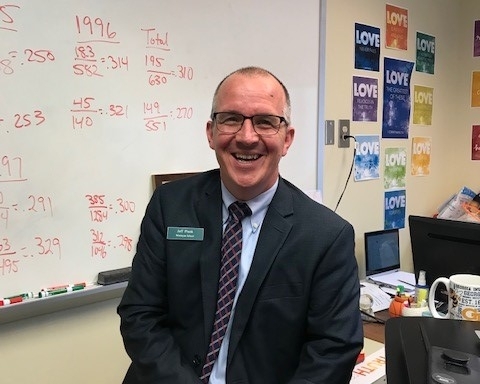 The freshman survey, containing six questions regarding the current school year, collected responses from 55 students, while the senior survey, containing eight questions regarding the current school year, collected responses from 43 students. 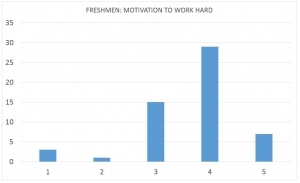 Contrarily, the majority of freshmen found their level of motivation to be at a “4,” meaning they are motivated to get the job done, but there is still a little room for improvement. 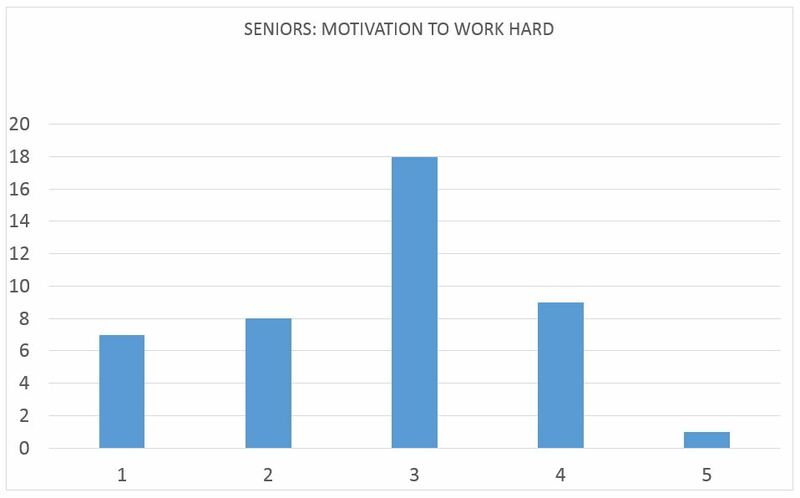 Nine out of the 55 freshman respondents felt that they were the most motivated they have ever been, strongly opposing the lone senior. 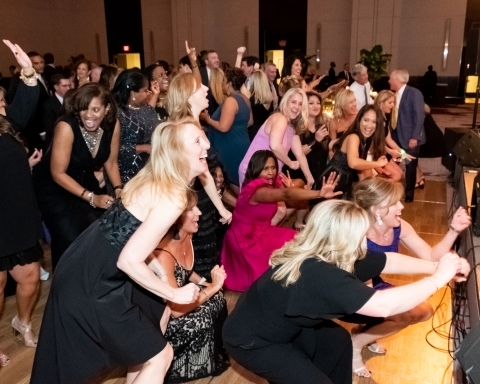 In order of least motivated to most motivated, 1 is not motivated at all, 2 is not really motivated, 3 is moderately motivated, 4 is pretty motivated but could work a little harder and 5 is the most motivated a student has ever felt. Manley. 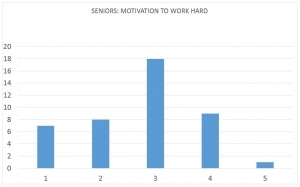 The majority of seniors considered their level of motivation to be “moderate,” with 42% percent considering themselves to be at Level 3 on the motivation scale. Manley. 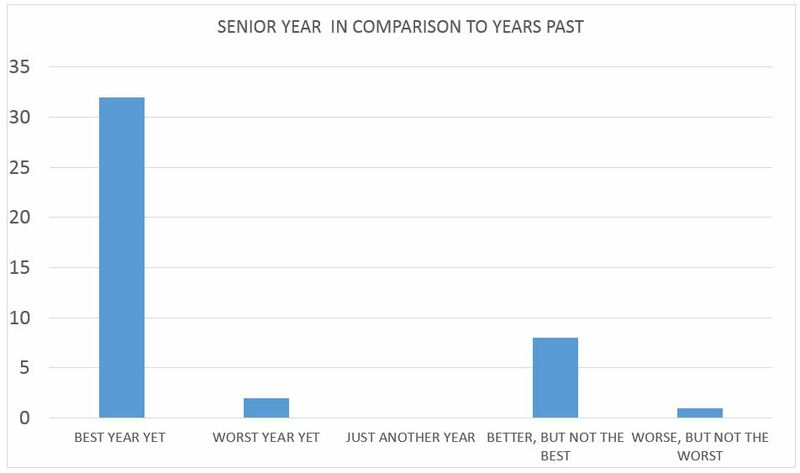 None of the 43 seniors who participated in the survey considered senior year to be “just another year,” but three students considered their final year of high school to be the worst year yet. Senior year is known for being the final and best year of high school, and Wesleyan seniors seem to agree, as 74% of seniors agreeing that senior year was in fact the best school year yet. Manley. 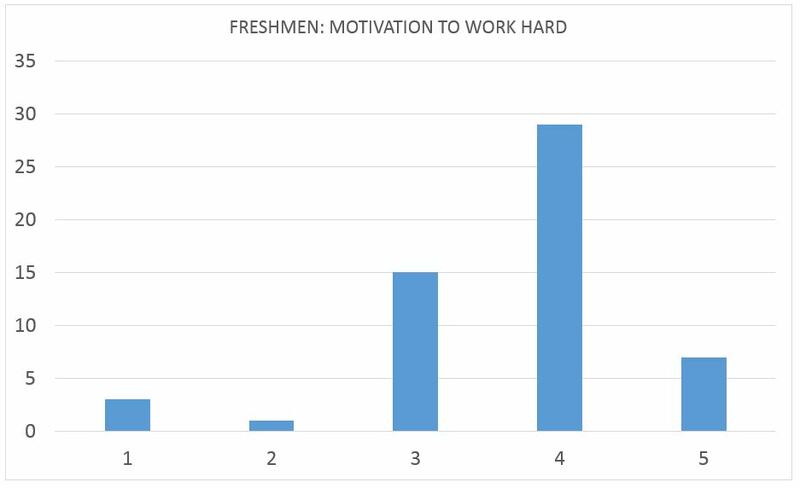 Like the seniors, a large majority of freshmen considered their first year of high school to be the best school year yet. As first-year high school students, the freshmen were asked about their favorite part of ninth grade. 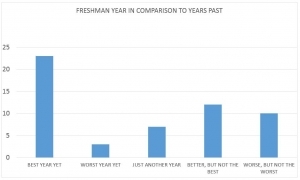 Nearly 49% of the students credited having more freedom as the best part of their freshman year. 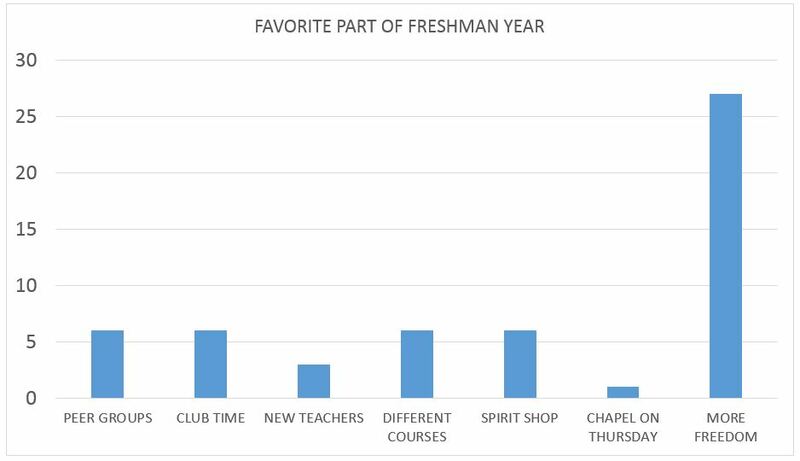 Coming in at a four-way tie for second place, club time, peer groups, different course options and the option to visit the Spirit Shop during the school day were a freshman year favorite, each reining in 11% of the votes. Monday Morning Meeting did not seem to be a crowd favorite amongst the freshmen, receiving zero votes. When asked about how freshman year compared to school years in the past, roughly 42% of the respondents claimed that their first year of high school was their best year yet. Manley. Freshmen were given eight options, as well as the ability to give their own input, as to what their favorite part of freshman year was. As shown above, the increase in freedom was a fan favorite, with nearly half of the votes. Manley. 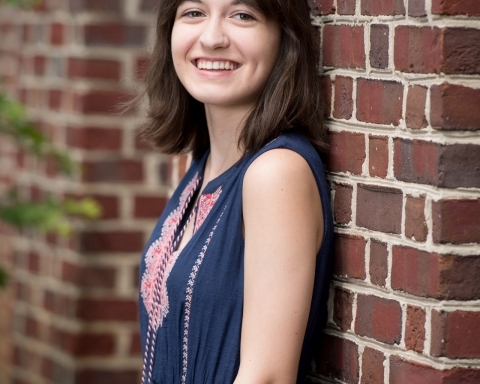 Given that this approach may not be an ideal option for most, three students from the Class of 2017 have provided freshmen who choose to remain enrolled in high school with a piece of advice to help them through their three remaining years. Freshman and senior year have their differences, but one constant throughout it all is the people with which one’s high school journey takes place. 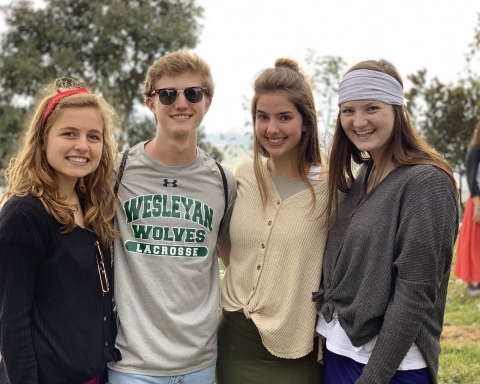 Relationships, whether they are formed freshman year or senior year, may prove to be the most long-lasting, so it is important for one to remember to cherish their time at Wesleyan and make the best of all of the opportunities provided.